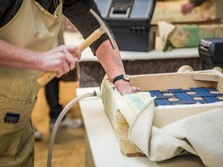 The classic footstool course is a one day extravaganza combining painting techniques with upholstery. 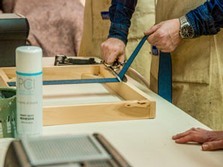 You will start the day with a solid hardwood frame, and throughout the day you will follow the step by step guidance, learning about the tools and materials used, as well as covering lots of techniques from webbing, applying Hessian and wadding, cutting fabric and corners. 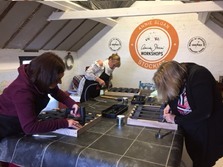 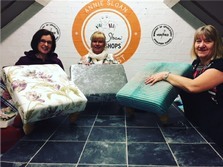 You will also be introduced to Chalk Paint®, decorative paint by Annie Sloan and basic painting techniques and be able to choose from a pallet of 33 colours to paint your legs to match your fabric choice! 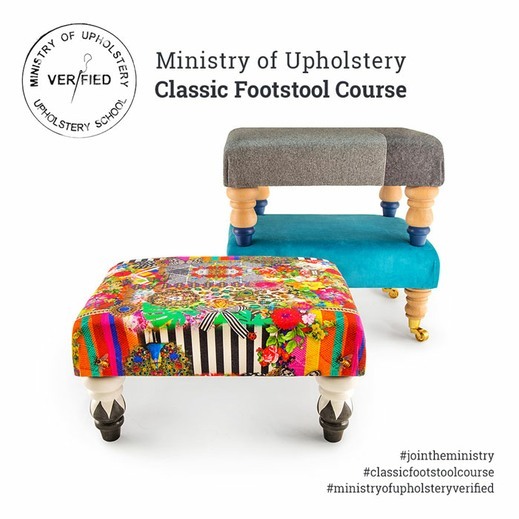 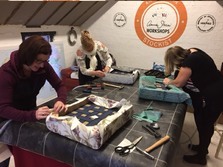 And at the end of the day’s course you will be able to take your footstool home to show off your new found skills! 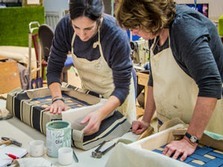 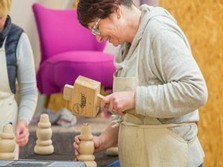 The course includes everything you need to make your stool, you just need to supply one metre of your choice of fabric. 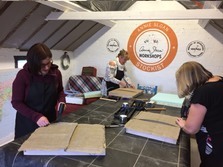 We only have four people per session to ensure you will recive all the help you require thoughout the day.